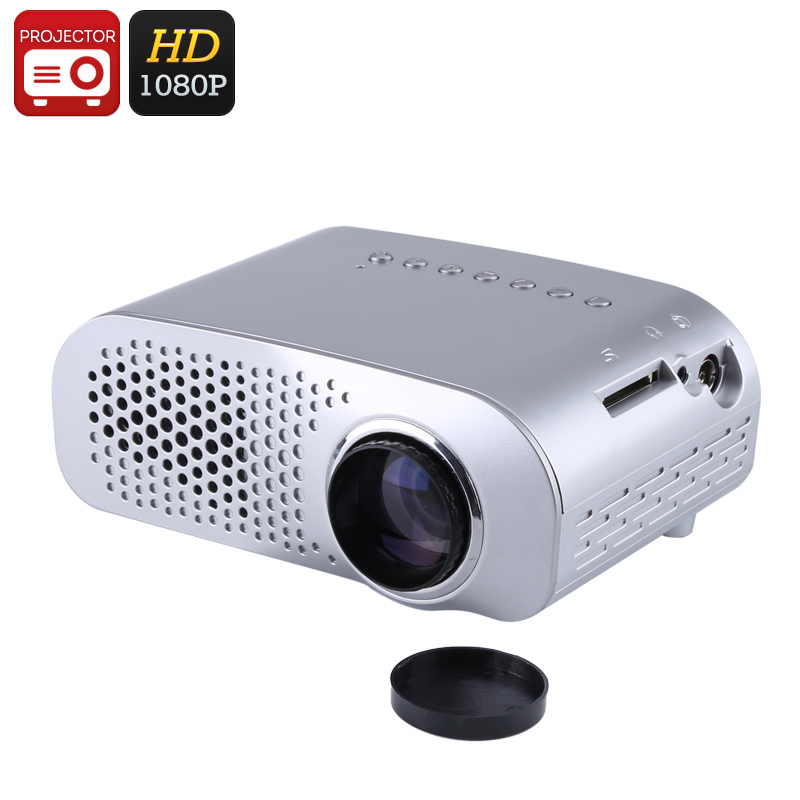 Successfully Added Mini Projector - 100 Lumen, 1080p Support, 500:1 Contrast Ratio, 32GB SD Card Slot, HDMI, VGA, 480x320p Native Resolution to your Shopping Cart. The GP802A mini projector is an affordable projector that allows you to enjoy movies, sports, videos, pictures and more on a large dynamic image. Thanks to its compact design and light weight, this mini projector is highly portable and can be easily carried around. Whether you use it in your living room, child’s bedroom or office – this cheap projector is a great electronic gadget. Capable of decoding 1080p media and displaying 480x320p resolution, it lets you enjoy all your favorite media in great detail. Featuring a 100 Lumen LED light, this affordable mini projector is capable of displaying clear images in low light conditions. It comes with two HDMI slots and a VGA slot, allowing you to hook it up to your DVD player or PC. Additionally, it supports a 32GB SD card slot thanks to which you’ll be able to enjoy your movies, series, and pictures anywhere you are. With a projection distance of 0.5 to 3.5 meter and a respectable image size of 15 to 100 Inch, this cheap mini projector allows you to turn any dark room into your own private cinema. Coming with built-in speakers, this mini projector produces HiFi level stereo sound for you to enjoy while watching a movie. Additionally, it has a power output that lets you connect external speakers to your projector to meet the demands of anybody that wishes to crank up the volume. Supporting a 20,000-hour service life, this cheap mini projector gets you through multiple years of entertainment – making it a great electronic gadget that is sure to meet your multimedia demands. This mini projector comes with a 12 months warranty, brought to you by the leader in electronic devices as well as wholesale electronic gadgets..